Many original aspects of the Carter Building have been restored in order to capture the essence of the time period. 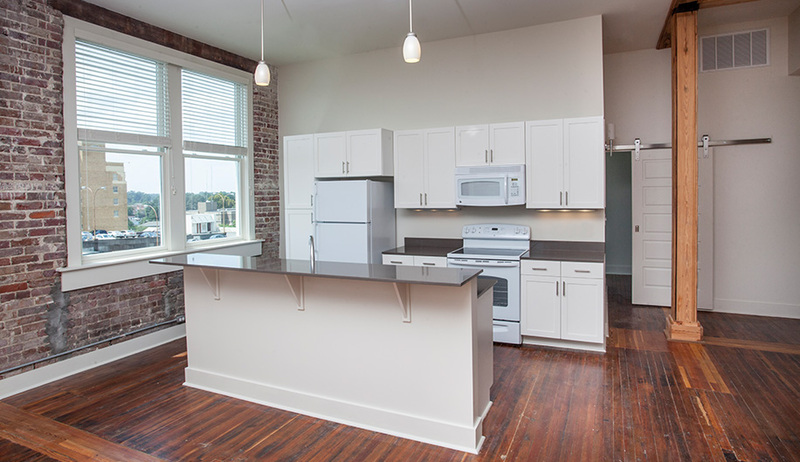 With the use of period appropriate finishes, large windows and an open living concept, residents will enjoy a modern lifestyle in this thoughtfully restored building. Kitchens and baths feature contemporary hardware, with crisp white cabinets and white appliances. New windows and updated heating and air conditioning ensure maximum comfort year round. The original hardwood floors have been refurbished and flow graciously throughout each unit.